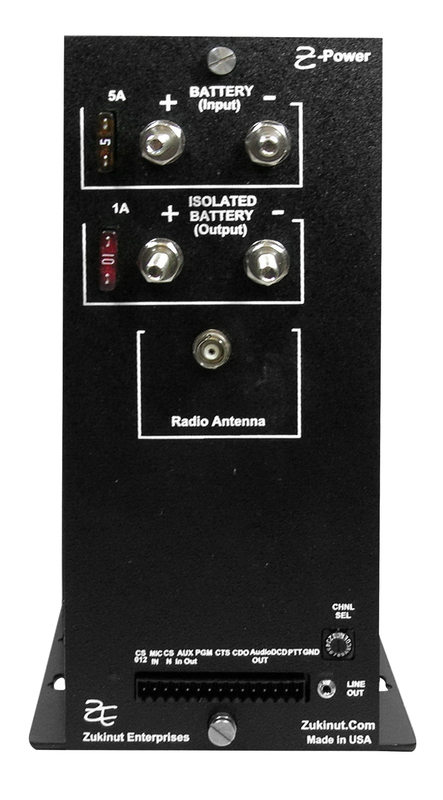 The Z-Power isolated power supply was designed to provide isolated power for 5W data radios and power the Zukinut ZEPIC-DE, stand-alone dragging equipment detector. The unit features 2 independent regulator circuits, one for the external power to the ZEPIC-DE and the other to power the built-In radio. The radio supply can be adjusted (LOW, MED and HIGH taps) for radios that do not provide their own internal regulators (See the user manual for installed radio). Efficient converter design provides isolated power for radio and related equipment operation. Service internal circuitry without disturbing house wiring.